3D Puzzle Ball 'Man City' 240 Piece Jigsaw Puzzle from Paul Lamond Games is boxed Official merchandise celebrating the Premiership title winning Manchester City Football Club. 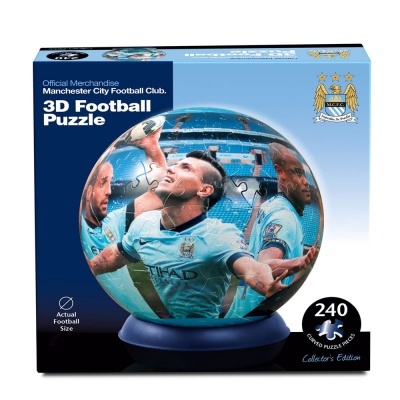 Creates a lifesized 3D Football using the 240 rigid, hard wearing, curved plastic jigsaw puzzle pieces. 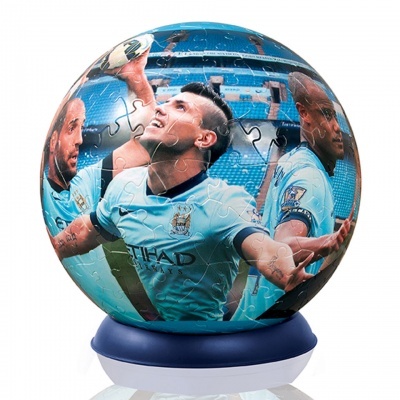 Complete with instructions and display stand making an ideal gift for Manchester City fans.